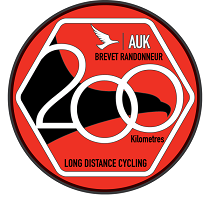 204km cycling event starting from Hallbankgate, nr Brampton. Controls at Kirkby Stephen, Shap and Dalston , plus 6 information controls. There are a small number of late entries available (3/4/19) - contact me for details Route via Tommy Road, Great Asby Scar nature reserve and Lowther Castle, before returning along the Eden Valley. Start in the Hallbankgate Community Caf�/shop and finish in The Belted Will pub opposite. Food at finish. Please note entries will be limited to a maximum of 80 for all the events starting in Hallbankgate on this day due to parking availability (combined total of entries for the 100, 160 and 200) Entries for this event are limited and may close before the closing date. If entries are not full at the closing date there may only be a limited number of late entries available if any. If you intend to enter and ride this event then early entry is encouraged to secure a place. For entry updates see Facebook Page 'Tyneside Vagabonds Audax Events'.